It was a great weekend of fly fishing in spite of heavy winds and cool weather. 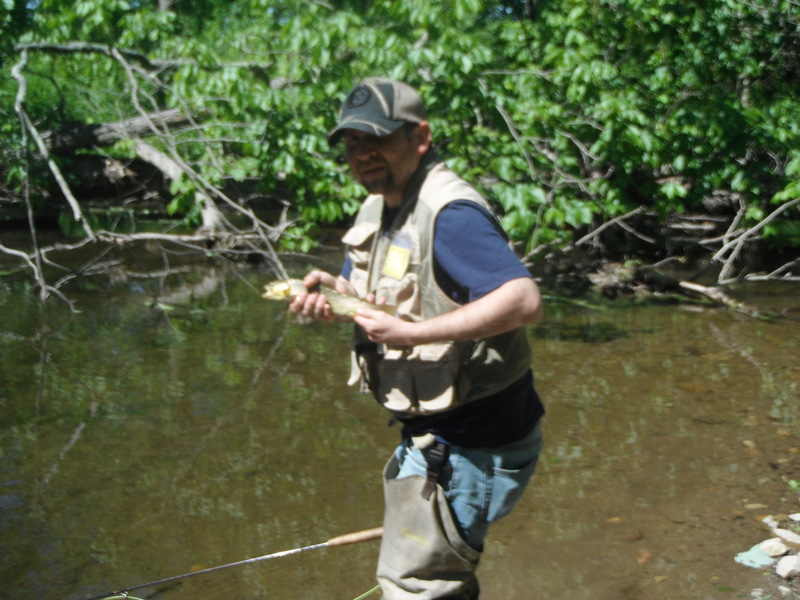 We had success on the Falling Spring, Conewago Creek, Mountain Creek, Long Pine Dam Run, and the Yellow Breeches. Fishing with a Red Sox fan: The weekend started with fishing with Bernie Patriacca from Boston who is the Dad of one of my coworkers. Bernie caught his first trout on the Falling Spring and a wild brown on the Yellow Breeches. Good job Bernie! We had a great time together and our camaraderie on the stream proves that even a Yankees fan and Red Sox fan can get along when it comes down to fly fishing. Hope we can do it again. Yellow Breeches and Long Pine Dam Run: Sulphurs were the ticket on the Breeches as a hatch came off on Saturday afternoon which resulted in catching 20 wild browns. While I was on the Breeches, my youngest son Craig fished for brookies on Long Pine Dam Run and caught over 30. Craig enticed them with a Crackleback. 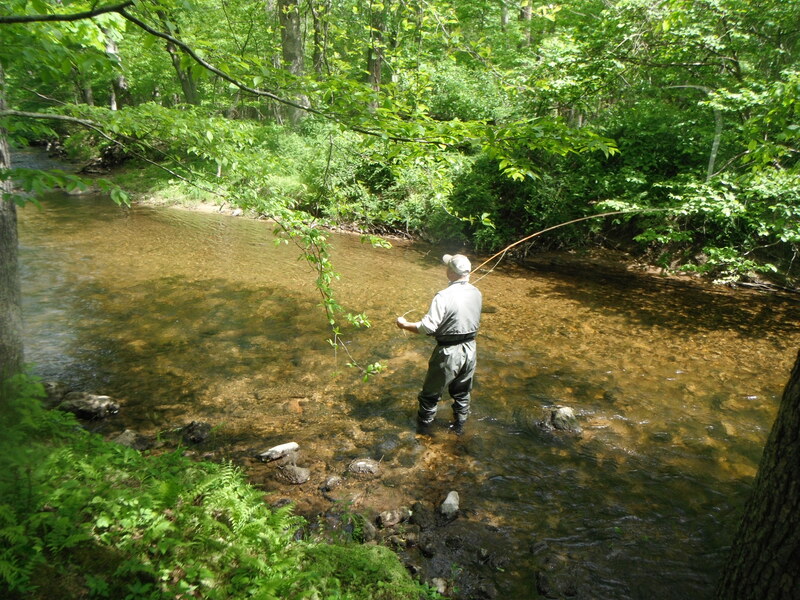 Conewago Creek: Craig and I fished Conewago on Sunday afternoon and fish were rising to small Sulphurs and midges. We caught 6 browns and 2 nice rainbows on a #18 Sulphur, a gray hackle midge and cinnamon ant. Mountain Creek: My middle son, Luke, and I fished Mountain Creek between Fuller and Laurel Lake on Monday morning and caught 9 wild brookies on Caddis. Luke finished out the morning by landing an 11″ wild Brown…a beautiful fish. 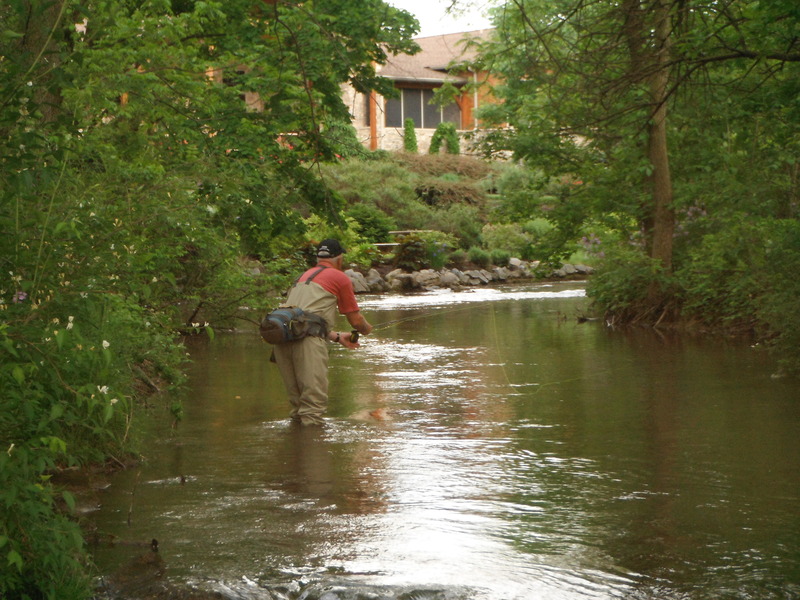 Falling Spring: Monday evening on the “the Spring” near Coldbrook avenue was a great ending to the weekend as fish were rising and I managed to fool 9 Browns on a #18 Sulphur. Like other fly fisherman who live in South Central Pa, we are so lucky to have so may streams and opportunities to catch fish within 30 minutes of driving time. The next adventure is Tioga and Potter counties. Stay tuned! This entry was posted in Uncategorized and tagged the Spring.